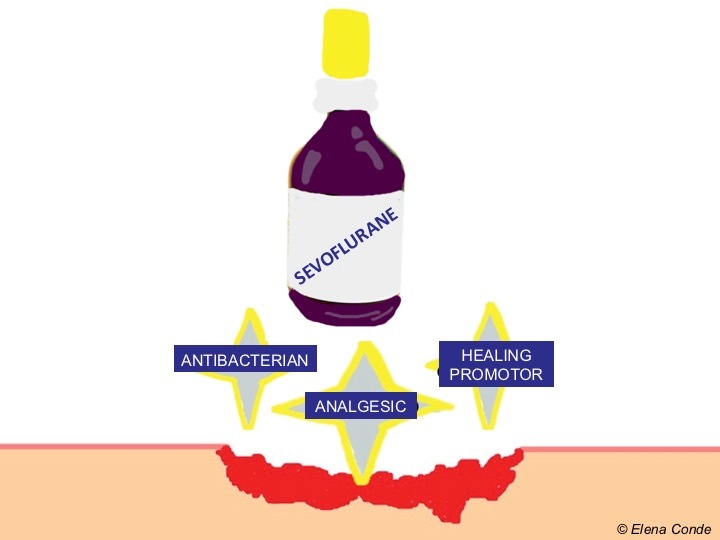 Have you ever heard of the topical use of sevoflurane in wounds? 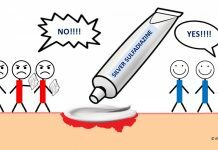 Home Advanced therapy Have you ever heard of the topical use of sevoflurane in wounds? If you have never heard of this alternative treatment for painful ulcers, surely while reading this post you may think of more than one patient who could benefit from its use. Once again, Carmen Alba Moratilla’s scientific curiosity and motivation have been important driving forces in my contact with this therapeutic alternative, which I have been able to put into practice thanks to the collaboration of Dr. Afredo Abad, head of the Anaesthesiology Service at the Infanta Leonor University Hospital. Our experience is recent and therefore very limited, but the findings are in line with those described by other authors, which we will now sees. Pain is one of the main factors limiting the quality of life of people with chronic leg wounds and, in many cases, a therapeutic challenge for healthcare professionals. Fear of pain during treatment can trigger anticipatory anxiety, which causes much suffering in these patients. Before trying different analgesic drugs, the first thing to do is to identify the cause of the pain, especially if it has increased sharply, as it may be a sign of infection, inadequate compression, with excessive pressure points or poor control of oedema and exudate, or contact dermatitis due to the dressings used. Although any leg ulcer, regardless of its cause, can be painful, the type of pain can guide us in the etiological diagnosis. The side effects inherent in systemic analgesics complicate decision-making on the best treatment strategy, especially in older patients or those with multiple comorbidities. Although dressings with a potential topical analgesic effect are being developed and marketed, in our clinical practice the range of products available is very limited and is usually reduced to lidocaine/prilocaine cream (EMLA), whose analgesic efficacy during sharp debridement has been proven in different clinical trials.1 Pharmaceutical compounding allows us to transport morphine in a hydrogel for topical application. However, although the analgesic effect of topical morphine in wounds has been described in case series, the few clinical trials performed, with small sample size among other limitations, do not detect statistically significant differences in comparison with placebo.2 On the other hand, the analgesic effect of advanced therapies such as platelet-rich plasma or punch grafting has been described. These therapies are especially interesting in Martorell hypertensive ischemic ulcer, which is enormously painful. In fact, my first contact with topical sevoflurane has been in a patient with Martorell ulcers in both legs, with tendon and bone exposure, with uncontrollable despite treatment with morphine and gabapentin. This first experience could not have been more successful, since after weekly applications for a month, with excellent analgesic control from the first session, we were able to apply punch grafts on the wound and achieve complete epithelialization. Well, let’s go to what interests you: What is sevoflurane and how does it work in wounds? The benefit/risk profile is very favourable since, as side effect, only itching and perilesional erythema have been described after application. Although sevoflurane blood levels have not been measured, no systemic effects have been recorded after local use. The first published case series6 includes 9 patients with painful venous ulcers resistant to systemic analgesic treatment, in which topical sevoflurane was used. The average number of dressing changes per patient was 8 (range: 4-13), but the authors do not specify the frequency of dressing changes. Irrigation of the wound bed was performed with approximately 1 ml/cm2 of liquid sevoflurane, always after cleansing with physiological serum. All patients experienced a rapid reduction in pain at rest (less than 2 minutes), which was maintained over time, an average of 10 hours. This reduction in pain, measured by a verbal pain scale (0-10) was clinically and statistically significant in all applications (average pain reduction of 6 points). Complete wound healing was obtained in 4 patients. Other Spanish authors5 confirm the benefit of topical sevoflurane application in painful recalcitrant wounds. They reported 36 patients with excellent pain control in 94% of cases, immediately after sevoflurane application and maintained over time (variable duration, between 2 and 48 hours). 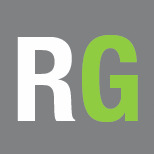 They found no loss of efficacy over time (length of treatment ranged between 3 and 24 months). The results of a randomised clinical trial8 designed to assess the impact of topical sevoflurane use on pain, daily opioid dose and wound size have recently been published. In the control group (conventional management), 10 patients with leg ulcers were included, while 5 were assigned to the treatment group. The frequency of sevoflurane irrigations (1ml/cm2) ranged from 1 to 4 per day, with the aim of maintaining a pain score (VAS pain) inferior to 3. Treatment was performed for 90 days. Among the limitations of the study it must be highlighted the small sample size, the different basal characteristics between groups and the variability inherent in the application of the product by different people (health professionals or the patients themselves). A statistically significant reduction in pain, opioids uptake and wound area was found in the treatment group. As a mild side effect, already described by other authors and which we have also observed, perilesional redness appeared in 4 of the 5 patients being treated with sevoflurane. There are still many outstanding questions that will find answers over time, thanks to experience and the conduct of more experimental studies. These include the following: what dose and frequency of application would be optimal, what type of wound would benefit most from treatment, what safety measures should be required for its use? Do you have any experience with topical sevoflurane? 1. Briggs M, Nelson EA, Martyn-St James M. Topical agents or dressings for pain in venous leg ulcers. Cochrane Database Syst Rev. 2012 Nov 14;11:CD001177. 2. Bastami S, Frödin T, Ahlner J, Uppugunduri S. Topical morphine gel in the treatment of painful leg ulcers, a double-blind, placebo-controlled clinical trial: a pilot study. Int Wound J. 2012;9(4):419-27. 3. Lafuente-Urrez RF, Gilaberte Y. Sevoflurane: a valid alternative for the treatment of vascular ulcers? Actas Dermosifiliogr 2014;105:202–3. 4. Imbernón A, Blázquez C, Puebla A, Churruca M, Lobato A, Martínez M, Aguilar A, Gallego MA. Chronic venous ulcer treatment with topical sevoflurane. Int Wound J.2016;13(5):1060-2. 6. Gerónimo Pardo M, Martinez Serrano M, Martínez Molsalve A, Rueda Martínez JL. Usos alternativos del sevoflurano. Efecto analgésico tópico. Rev Electron Anestesia 2012; 4:181. 7. Martínez M, Gerónimo M, Crespo MD. Actividad bactericida del sevoflurano frente a Staphylococcus aureus, Pseudomonas aeruginosa y Escherichia coli. Enferm Infecc Microbiol Clin 2009;27:120–1. treatment of chronic skin ulcers. Am J Health Syst Pharm. 2017;74(9):e176-e182.